A chart is a road map for mariners. It tells them where they are, where they can sail safely, and delineates areas to avoid by describing the surface under the water. Anyone venturing out on the Chesapeake Bay needs to consult a chart to ensure a safe voyage. Today's charts provide mariners with a wealth of data. Hundreds of bits of information are readily available telling them virtually everything they need to know to reach their destination safely. Based on sophisticated surveys, modern charts reflect how much is known about the world below the surface, often building upon the information provided by their predecessors. 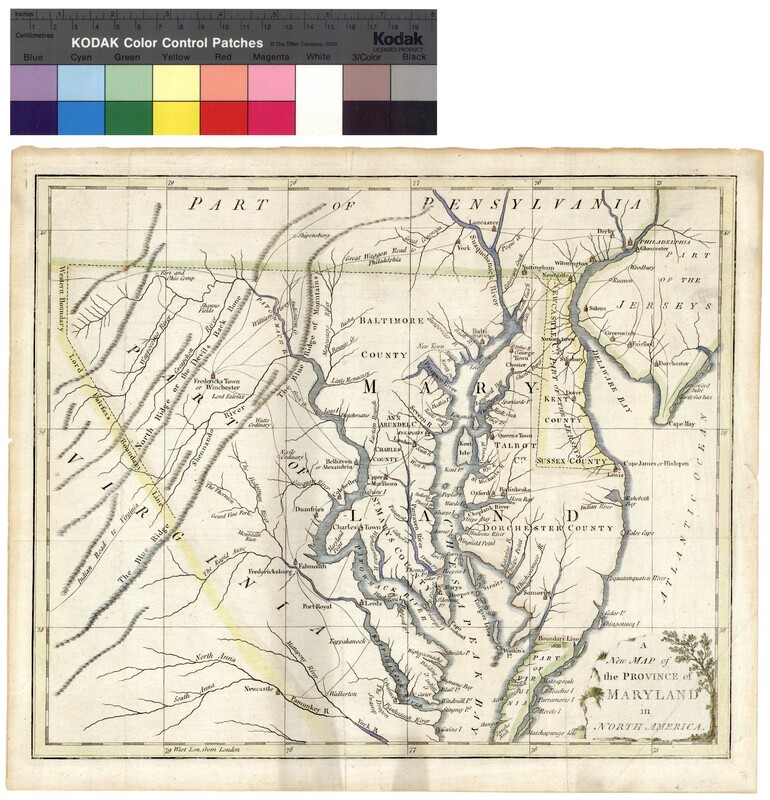 Because the Chesapeake Bay has been so important to the history of Maryland, charts have played a central role. 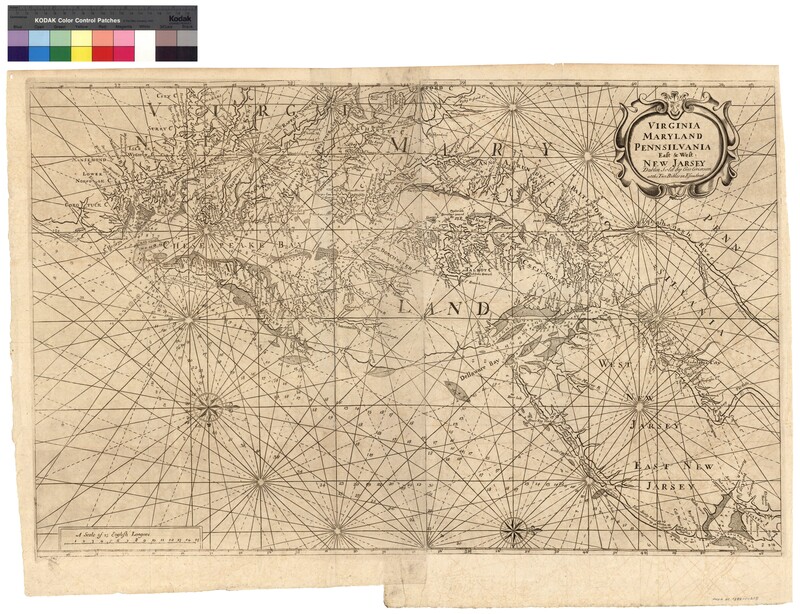 From the seventeenth century forward, charts were the key to economic or naval power. 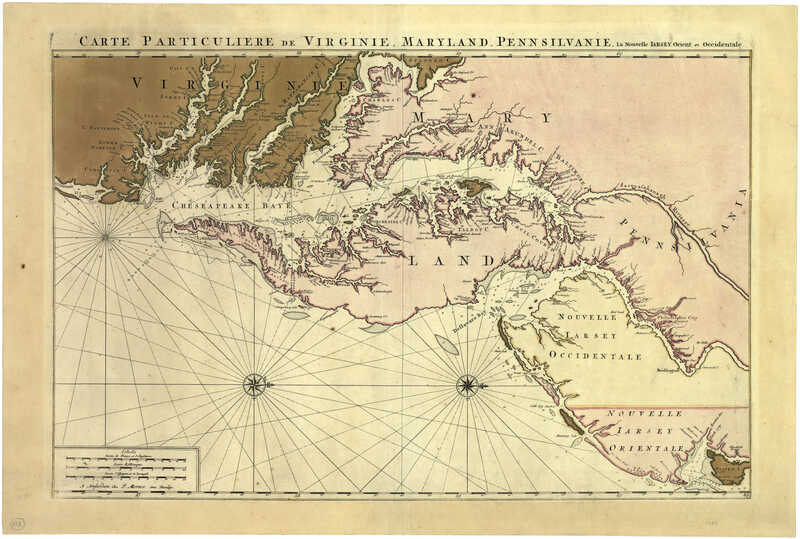 Charts were indispensable to Maryland's early vessels of commerce and trade, such as the tobacco ships which transported the region's cash crop to market in Europe. They were also essential to both the British and American navies during the Revolutionary War and the War of 1812. 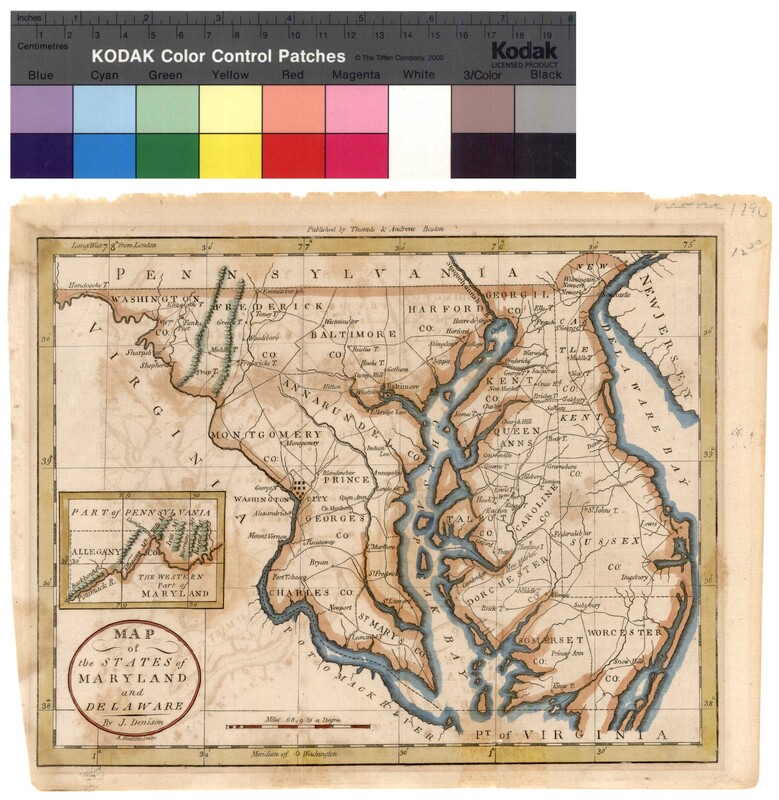 Sailors needed to know the location of shoals, conditions of the bottom, and the ways of tide and current to maneuver their vessels during battles on the Chesapeake and its tributaries. 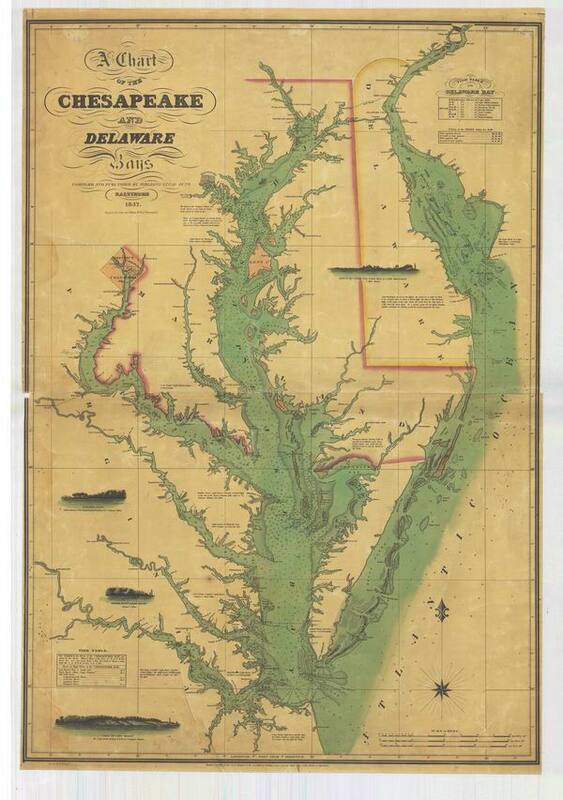 Today's Marylanders also rely on charts of the Chesapeake to find their way. Maryland pilots use charts to guide foreign container vessels into and out of the bay's major ports, Baltimore and Norfolk. Millions of recreational boaters consult charts to navigate to safe harbor. They are also used by watermen to locate the bay's natural oyster beds. Today, the Chesapeake Bay is still the prize of the mid-Atlantic region. The Chesapeake watershed covers 64,000 square miles, extending across six states and the District of Columbia. As the largest estuary in the United States, the Bay has for centuries provided a haven to wildlife, a cultural link between the shores of Maryland, a source for recreation, and a continuing livelihood for the people living on and near the bay, making this truly the "Land of Pleasant Living." Standard 1: Why the Americas attracted Europeans, why they brought enslaved Africans to their colonies, and how Europeans struggled for control of North America and the Caribbean. 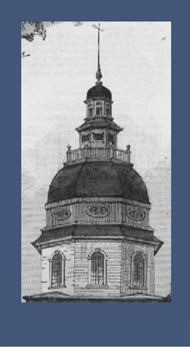 Standard 2: How political, religious, and social institutions emerged in the English colonies. Standard 2: The impact of the American Revolution on politics, economy, and society. Grade 4 - Standard 3.0: Geography Students will use geographic concepts and processes to examine the role of culture, technology, and the environment in the location and distribution of human activities and spatial connections throughout time. Grade 5 - Standard 3.0: Geography Students will use geographic concepts and processes to examine the role of culture, technology, and the environment in the location and distribution of human activities and spatial connections throughout time. Objective a. Explain the political, economic, and social factors that motivated people to move west. Title:A Mapp of Virginia Discouered to ye Hills, and in it's latt. from 35 deg. & 1/2 neer Florida to 41 deg. 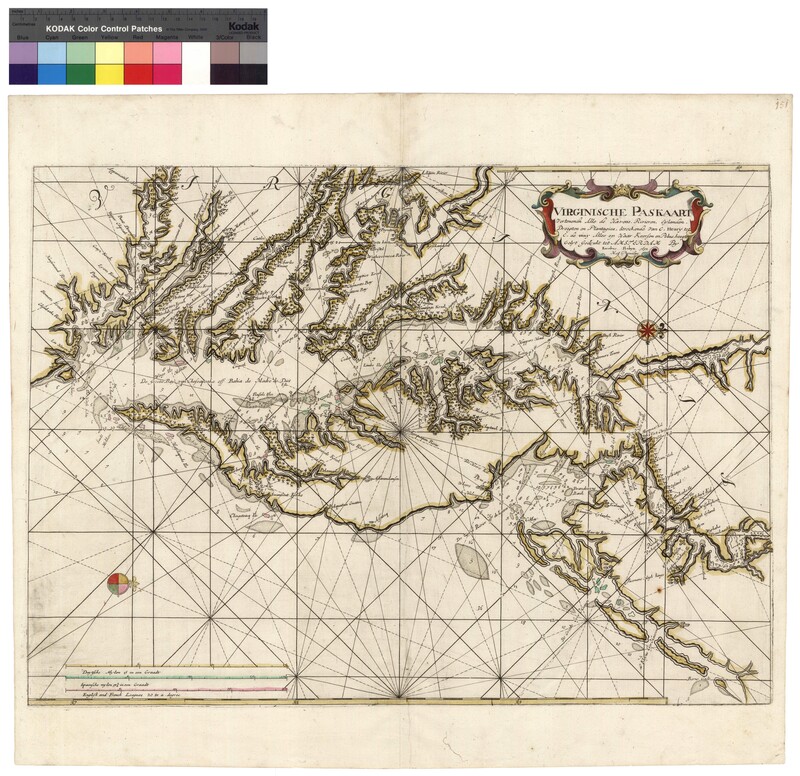 bounds of New England Cartographer: Virginia Farrer Date Created / Published: 1651 , London Notes: The Farrer map illustrates the many geographic misconceptions still widely held in the middle of the 17th century. It shows the South Sea (Pacific) as a ten day's march over the hills. The Hudson is connected by a lake to the Pacific, perpetuating the belief in a northwest passage. It depicts the Appalachians extending as far as the Hudson River. See Huntingfield Collection map report for additional information about this map. Source: G3880 1667 .F3 Repository: Library of Congress Geography and Map Division Washington, D.C. Title: Virginia and Maryland as it is Planted and Inhabited this Present Year 1670, Surveyed and Exactly Drawne by the Only Labour & Endeavour of Augustim Herrman Bohemiensis Cartographer: Augustine Herrman Date Created: 1673, London Source: G3880 1670 .H4 Repository: Library of Congress Geography and Map Division Washington, D.C. Title: A map of the most inhabited part of Virginia containing the whole province of Maryland with part of Pensilvania, New Jersey, and North Carolina Drawn by Joshua Fry & Peter Jefferson in 1751 Cartographer: Joshua Fry and Peter Jefferson Date Created / Published: 1751  Notes: See Huntingfield Collection map report for additional information about this map.Huntingfield Corporation Map Collection, MSA SC 1399-1-418 Source: G3880 1755 .F72 Repository: Library of Congress Geography and Map Division Washington, D.C.
Barbour, Philip L. The Three Worlds of Captain John Smith . Boston: Houghton Mifflin Co., 1964. ________. Pocahontas and her World . Boston: Houghton Mifflin Co., 1970. Barbour, Phillip L., editor. The Jamestown Voyages Under the First Charter, 1606-1609 . 2 vols. Works issued by the Hakluyt Society, 2nd series nos. 136-137. Cambridge, England, 1969. Brugger, Robert. "From Province to Colony (1634-1689)." In Maryland: A Middle Temperament . Baltimore: The Johns Hopkins University Press in association with the Maryland Historical Society, 1988. Hulton, Paul and David Beers Quinn. The American Drawings of John White, 1577-1590 . 2 vols. Trustees of the British Museum, and University of North Carolina Press, 1964. Koot, Christian J. 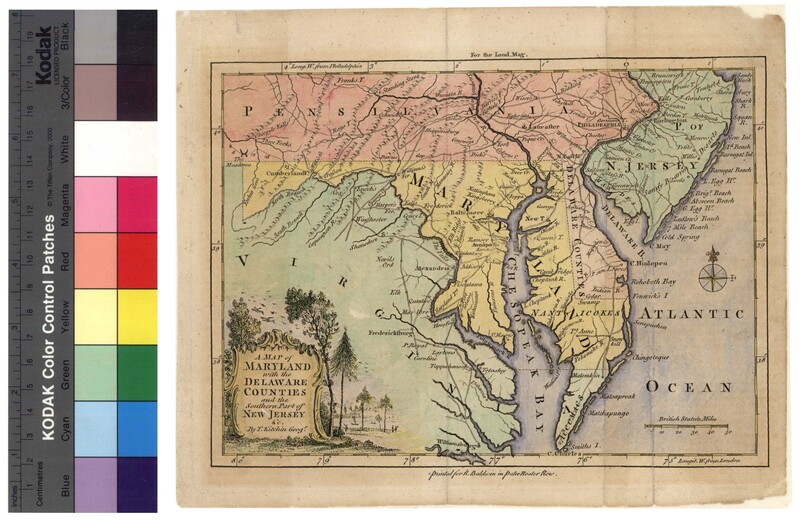 A Biography of a Map in Motion: Augustine Herrman’s Chesapeake . New York: New York University Press, 2018. 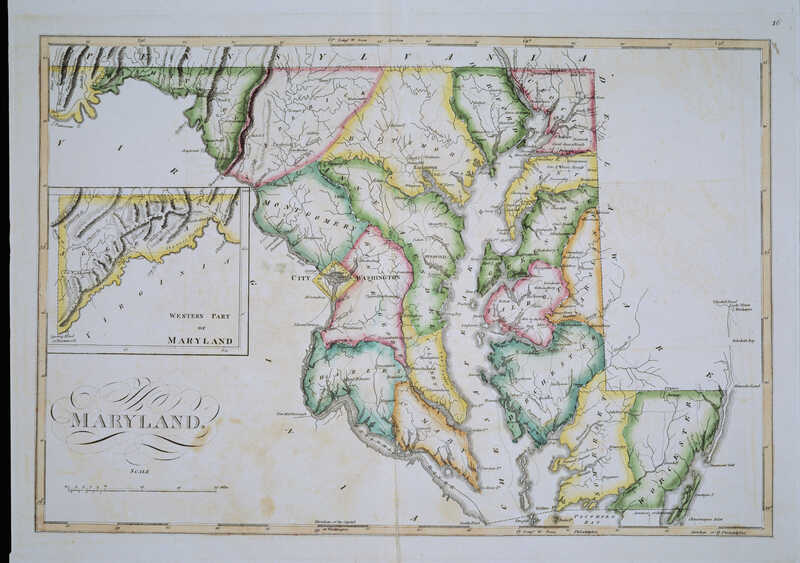 Morrison, R. and Hansen, R. Charting the Chesapeake . Annapolis: Maryland State Archives, 1990. __________, Papenfuse, E. C., Bramucci, N. and Janson-La Palme, R. J. H. On the Map . Chestertown: Washington College, 1983. 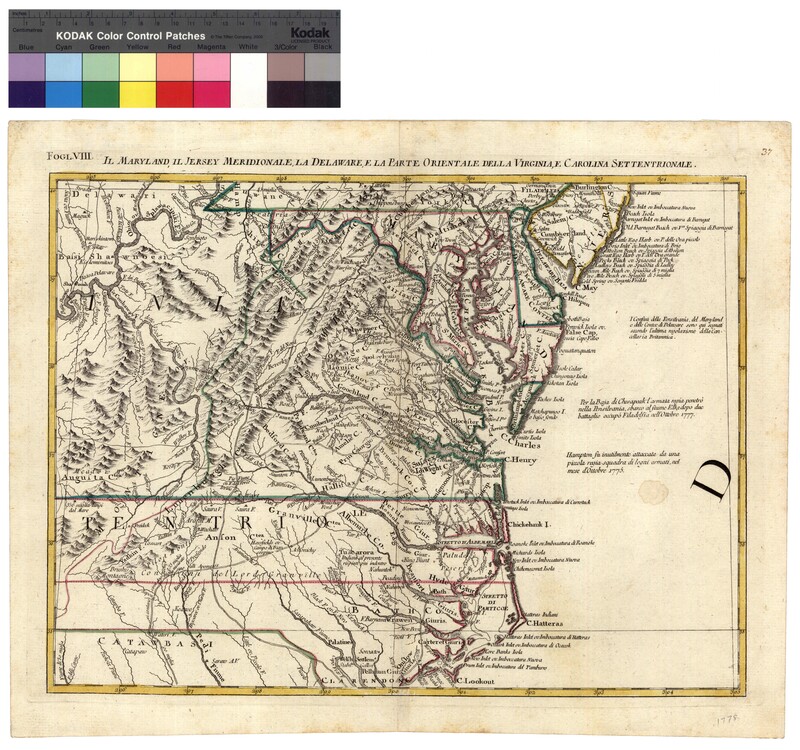 Papenfuse, E. C. and Coale, J. M. The Hammond Harwood Atlas of Historical Maps of Maryland 1608-1908 . Baltimore: The Johns Hopkins University Press, 1982. ___________. 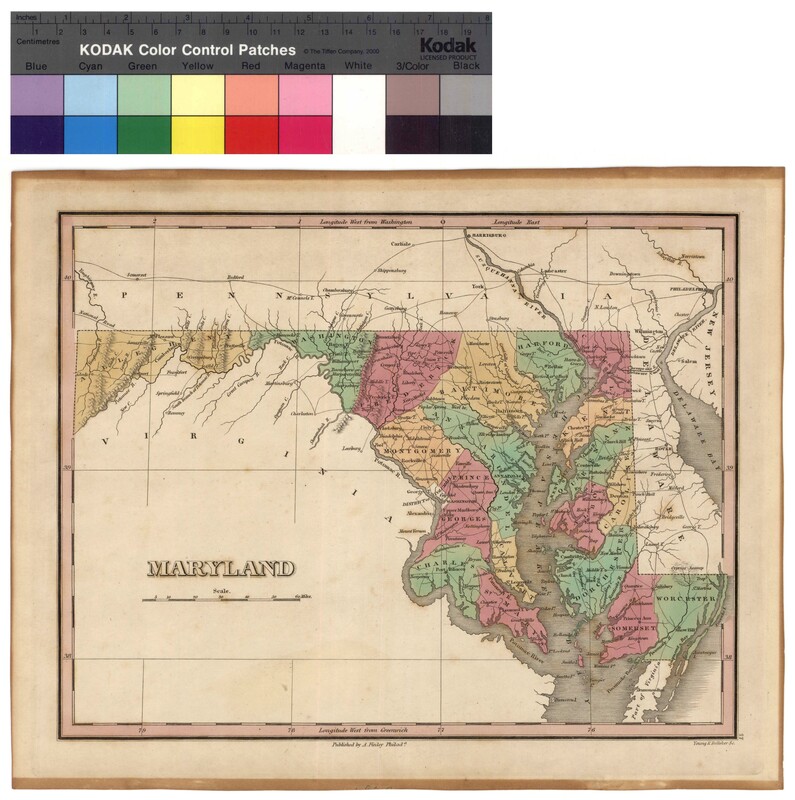 The Maryland State Archives Atlas of Historical Maps of Maryland, 1608-1908 . Baltimore: The Johns Hopkins University Press, 2003. Roundtree, Helen C. "Powhatan Indian Women: the People Captain John Smith Barely Saw." Ethnohistory (Winter 1998): 1-29. _________________, Wayne E. Clark and Kent Mountford. 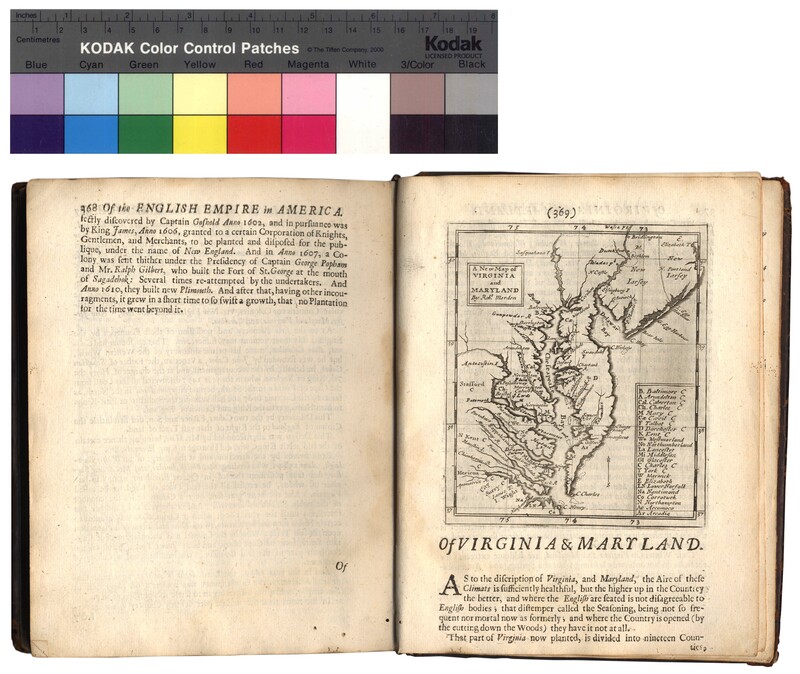 John Smith’s Chesapeake Voyages , 1607-1609 . Charlottesville, VA: University of Virginia Press, 2008. ________. 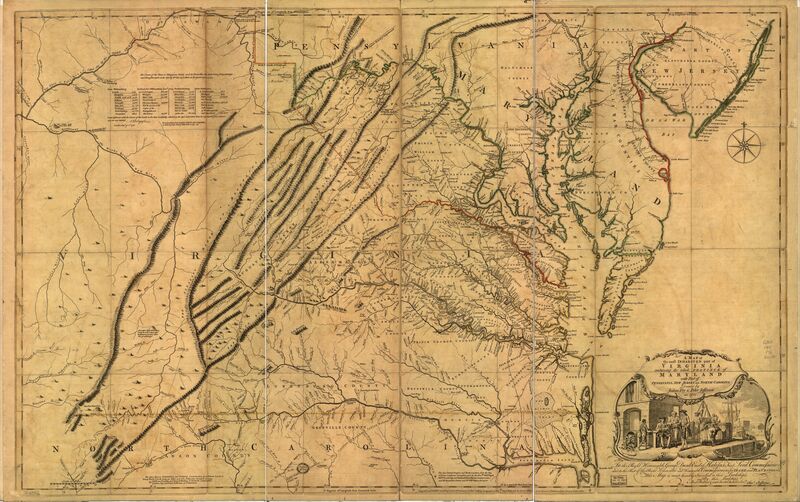 "A Map of Virginia." In The Complete Works of Captain John Smith . Edited by Philip Barbour. 3 vols. I:131-177. University of North Carolina Press, 1986. ________. "A True Relations of such Occurrences and Accidents of Noate hath Hapned in Virginia Since the First Planting of the Colony...to 1608." In The Complete Works of Captain John Smith . Edited by Philip Barbour. University of North Carolina Press, 1986.